I always dreamed of working with horses. Growing up I thought the only real options in the industry were; farrier, vet, something to do with racehorses. I actually cried when I grew over five feet tall! I’m not exactly sure where that answer came from, especially considering that my kids have greater math skills now then I did as a junior in high school. Maybe it was inspired because it was my math teacher asking the question. I was good with accounting and at least I knew people could do it as a living. He challenged me to go look at the college book…right then. (…pre-internet moment here). I was shocked that you COULD go to school for that. So I did. Knowing what I know now, but removing the horses, I would teach and write. Or write and teach. I love the process of learning and teaching goes hand and hand with it. I also love writing because in general, I get a chance to think about my subject and really study it. Blogging daily is actually hard for me because I don’t have as much time to polish everything the way I wish I could and because there are always critics. I was so shy when I was young that it is probably a shock to people who knew me that I speak in public like I do. My point in mentioning this little fact is that I never would have guessed that I would speak in public like I do. Life is funny like that, it is strange to think about all of the options it contains. If you read this post, leave a comment about a career you would love to do…and why you are NOT doing it. I am happy that you were able to find a career working with horses. stacy, thanks for the book recommendation, i will check it out. well, in addition to always loving Art and Design, i started out fervently wanting to be a jockey, or a horse trainer; i was summarily talked out of that and i decided quite late in college to be a horse vet, which would enable me to work with horses and large animals and still make some money. i had a car accident and ended up in a wheelchair after graduating from college and then decided to be a small animal vet, at least. 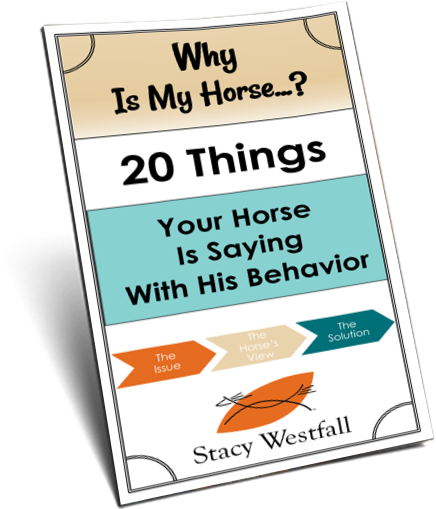 i did that, and have always missed horses-the smell of the barn, the figuring out what is in their mind, the closeness of riding with them, the feel of their muscles, etc. i train dogs, which has been wonderful and i have pursued a small Art career (which has been a savior) alongside being a vet…but i’d like to be able to find the right horse, or probably pony–like an Icelandic, that i could safely ride and perhaps help train and go on long distance treks and such..places i can’t go in my chair, too. i’ve found that being a vet is a fun challenge mentally, i enjoyed helping people with their animals (giving back) and i did get to work with animals; but really, being a vet is more about working with diseases and with people. i don’t regret doing it (it was a good challenge, well accomplished) but looking back, i did it for the wrong reasons, as is probably apparent by what i wrote above…it’s not what my blood is made up of.. i didn’t listen to my heart and soul and i wasn’t courageous enough to disregard the Fears that seemed to put a wall up between me and my heart. now, after 20 years of vetting, i am attempting to do just that. the Fears are still there, but i am listening to the Joy instead :D. i am pursuing the creative path full time and my dream would be to become financially solvent doing this and truly bring forth my best, in every way. actually, I am doing what I wanted. I am an artist, specializing in painting horses, dogs and landscapes. I also have the time to ride. and ride, and ride and ride! work with some young horses too. I would, if given the chance, like to take some horse training clinics and get a lot better, be able to start more young horses under saddle myself. I am taking a barefoot trimming class, so at least getting somewhere on that. I work in IT as a Microsoft Certified instructor teaching others how to use Microsoft products. I would give that all up today if I could find a way to keep my household going while devoting my live to horses. In an effort my wife and I have recently started an eCommerce site where we make hand tied halters, ropes, reins, paracord items etc. My goal is to see this business grow to a level that it will support us, our horsing habits and keep us working and sharing our passions together. I would love to be the trainer that you are! It is very difficult to be a great trainer when you only have an hour a day to devote. I would LOVE to barrel race! My daughter barrel raced when she was younger and we took her to all the local rodeo’s. I LOVE watching barrel racing. I record the WNFR every year and watch all 10 rounds of the barrel racing. One of my fav’s is Sherri Cervi. I trail ride a lot! We’ve ridden in the Black Hills of S. Dakota, the Appalachians of VA, the Ozarks in MO, the Cumberlands in TN, the Ouichita’s in OK and I consider myself a pretty good rider. But I’ve just never had the nerve to get a barrel horse or try it. I guess I’m a little intimidated? I’m almost 50 yo now and I guess I figure I’m just getting too old to start now. I am a HS teacher and I have my summers off so it’s not like I don’t have time. I keep saying someday….. I am a recent graduate from college with a bachelors degree in accounting. During that time I worked two part time jobs an volunteered at a horse stable where I met my boyfriend. When we werr kids his family and myself my sister an best friend would all take lessons together for years ! Times went on sports were bigger than riding in high school. I ran into him at the barn we became friends again an before you knew it we were dating. For him I want to thank all the stuff that I missed out when I was younger about learning horse stuff. From saddles to events to types of horses to what you should be looking in a horse when I was ready to but one. There was so much I that learned for him that I could never forget, one day the cowboy was lost in his soul an didn’t know what he wanted . 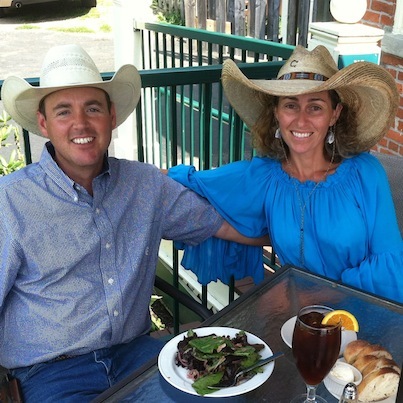 We broke up , he went out to Wyoming to work on ranch while finished school. During that time he never called , wrote or anything. It was hard but time to move one I did an thought I had a great guy but just ended up being a jerk! Sept came by I got a call it was him !!! I was hapoy to hear his voice he found his soul again I could hear it !!! When he came home he wanted to try things again but in his terms, I didn’t like how he wanted to get back together so I didn’t say yes. It was hard but I just couldn’t let myself get hurt again. Months almost 2 years without riding an I am about to break . Its hard when your family doesn’t understand what a horse can do to someone’s soul ! It’s truly amazing an I wouldn’t change it for the world . Now I have a great boyfriend however he knows nothing about horses, it’s hard but I try an teach him little by little . I still don’t have a horse yet due to that jerk of a guy he left me some debt that I would rather get paid first than have my freedom to have a couple of horses! Having a degree is great ; but when your passionate about something that makes you so happy than your degree means nothing to you if you can’t in corporate it . If I could find a way to have accounting / business with horses I would !!! I know horses are business but it’s just how to get to where I want to be!!! I do totally enjoy your blogs and what you are doing with Jac. I am 63 years young and have loved horses for as long as I can remember, We never had any money and growing up in the 50’s and 60’s well in my opinion now were the best years to be growing up. Every year at Christmas and for my birthday my Mom would ask what I wanted and I always gave her the same answer”A Horse, buy me a horse and I will never ask for anything again” So on my ninth Christmas, my dream came true, got up Christmas morning and my Mom and my Brother had their coats on and mom said hurry get dressed, so I did kept asking what is going on and they said you will see. We walked out to this little shed in our back yard, my brother opened the door and I couldn’t believe it, there stood the most beautiful half Hackney and half Shetland pony, and she nickered at me, I ran over threw my arms around her neck and just hugged her with all my might. I then ran back over and gave my mom and Brother the biggest hug and kiss It was just so can’t explain the feeling but if you love horses you know that feeling you get. So now that I am retired I would really like to work with horses, my significant other and I have four, 2 quarter horses and two Tennessee Walkers, so we actually took the 2 quarter horses yesterday and went to one of the local state parks for a trail ride, it was such a beautiful day and the horses love to go on trails. The one thing I need to learn is to drive the truck with the Horse trailer, I have never done that and that concerns me, but the other is to be able to just go and ride whenever I want and not have to depend on someone to take me and my horse. I would just really just like to ride, exercise horses or just ride them and do or something along those lines, I have a pretty good seat and would just enjoy being with horses and riding them. I used to be a telecommunications technician. At 27, my husband and I moved to British Columbia from Ontario. Couldn’t find work in my field and started workin’ in barns. I’ve always been a horse nut but growing up just outside Toronto didn’t give me too many opportunities to experience horses. I’m now becoming very experienced in the horse world and am learning more every day! We currently live above a beautiful barn, where I’ve now been involved in the birth of 22 foals! It’s not where I thought I would be at 34. I wouldn’t go back to my old job….I love this horsey world I live in! As a kid I wanted to be a teacher or a vet – almost all my time was spent on a horse. But I got married between my junior and senior year – so there went both those options. I know work for the post office and do well. But still wish I had pursued horse training or breeding as a career. Age and location are against me there. Our area is not real horse oriented…. There was a trainer here who charged $300 a month to train (included feed) and people thought him crazy expensive!! I am a writer and own a marketing firm so get to work from home and I love what I do. Problem is, I work 80-90 hour weeks and have no time for anything else. We have three horses (in Los Angeles so you can only imagine my horsie bills) so I need to work this hard. But I have zero time to myself or for fun. So if I could do anything it would be to keep doing what I do, only fewer hours so I could adopt even more rescue horses and play at the barn! Hi Stacy, I really love this blog because it sounds similar to what I’m going through right now! I am 18 and have loved horses since the day I was born. I’ve always known I wanted to do something in the horse industry. I had my sights set on veterinary school since I was in kindergarten! I never knew about any sports in the industry when I was little other than racing and barrel racing, neither of which truly interested me. Then one day a few years ago, my mom called me to the computer and said “Ashley you have to watch this! 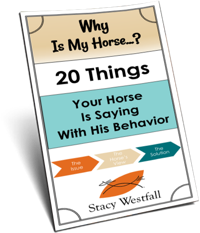 It’s amazing!” That is the day I saw your bridleless ride on Roxy and was hooked on reining! I researched everything I could possibly think of to find out more about the sport, maneuvers, trainers, how they got the horses to do what they do. I even boarded my own horse (who I found out was reining bred!) and trained her for reining. I found a reining trainer here in my town who I interned with for about four and a half months. Then about eight months ago I received what I thought to be the opportunity of a lifetime. A widely known reining trainer was hiring, and I got the job!! I moved three hours away from home (at 17) and began working for this trainer. I learned quickly that I chose the wrong trainer. They did not truly care about the horses like I did. To them they were just money makers and machines 🙁 They flew me up to join them at the Quarter Horse Congress, (I wanted so badly to meet you there!) and I got food poisoning, but felt OK the next day. we drove to another show a day later and I kept getting sicker and sicker. After we returned home I could barely walk and could not focus on anything, but I still tried to work. After a few days, since I was still 17, my parents came down and took me to a doctor who told me not to work for at least a week. I relayed that to my trainer and my parents took me back home, where I went to see my regular doctor, who told me I had a severe liver infection and told me not to work until further notice. I, again, told my trainer about it, but I was told that illness is not tolerated at their barn, and that I could either come back to work sick or find another place to work. Since I physically couldn’t work, I resigned. I only worked there for five weeks, but it most definitely changed my life. It took me well over three months to fully recover, and ever since then I have been searching for a job. I have thought again about vet school, but my parents have told me we cannot afford it. 🙁 I would still love to be a reining trainer, but I will be much more observant and careful when it comes to choosing a trainer to work for! Unfortunately, there are no more reining trainers close to me, and I don’t know where to go from here 🙁 I absolutely love the way you train horses and connect with them and love them! You truly are my inspiration! If you could, I would love your advice on my situation and what you think about it! Thank you!